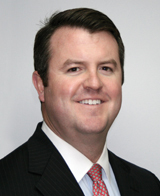 President & Chief Executive Officer – Tom Feeney served on the AIF Board of Directors for several years before he was hired as AIF’s President & CEO in 2011. He previously represented the 24th Congressional District of Florida for six years and served in the Florida House of Representatives for ten years, during which he was elected Speaker of the House. In 1994, he was Governor Jeb Bush’s running mate in his first race for governor. 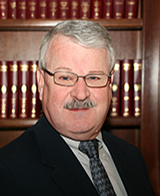 In addition to public office, Feeney has also maintained a successful private law practice and has served on the Board of Directors of the James Madison Institute in Tallahassee and as a Senior Visiting Fellow at the Heritage Foundation. 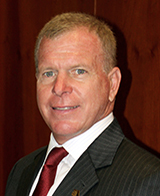 Feeney currently serves on the Board of Directors of the Foundation for Florida’s Future, is a member of the Florida TaxWatch Board of Trustees, and is an Advisory Board Member on their TaxWatch Center for Government Efficiency. Feeney has a B.A. in Political Science from Penn State University and J.D. from the University of Pittsburgh. 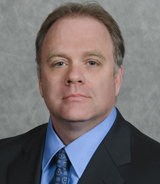 Executive Vice President & Chief Operating Officer – In 1989, Stephen Trickey was hired by AIF. He served as the Chief Operating Officer of the Florida Business Network, a for-profit subsidiary of AIF, where he led the development of what became one of the country’s first and most successful legislative information software systems. From there he was promoted to Chief Information Officer of AIF where he served as the leader in all organization communications services. Finally, in 2003 he was promoted to his current position of Executive Vice President & Chief Operating Officer of the entire organization. In this position, he is responsible for the day-to-day operations of the Association. In 2007, Stephen was elected to the Board of the Florida Society of Association Executives (FSAE) Foundation and then as one of its officers. In 2008, he received the highest designation that an association executive can attain when he earned the coveted Certified Association Executive (CAE) designation. That same year, Stephen was given the highest award by FSAE when he was named Florida’s Statewide Association Executive of the Year by his peers. He currently sits on the main FSAE Board of Directors. Senior Vice President of State and Federal Affairs – Brewster Bevis coordinates AIF’s lobby team and all research advocacy efforts in Tallahassee and Washington, D.C. He previously served as Senior Director of Legislative Affairs for the National Association of Builders & Contractors. Bevis worked in Congress for several years and is a former Presidential Appointee in the Bush administration. He attended Florida State University where he earned a B.S. in International Affairs. Director of Programs and Services & Chief Financial Officer – Bob McRae has over 30 years of experience in the technology and financial areas of association magagement. 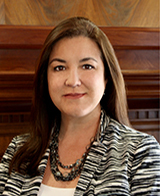 Vice President of Administration & Services – Michelle Smith joined the AIF team in October 1996. As the Vice President of Administration & Services Department, she oversees the daily administrative and facilities operations. Over the past years, Michelle has served in many leadership roles with several of Tallahassee’s non-profit organizations. A graduate from Florida State University, she earned a B.S. degree in Business Management. 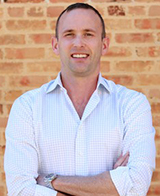 Vice President of Corporate Relations – Drew Preston leads business development and member engagement for AIF. Previously, Preston served as Vice President and Chief of Staff of the Florida Chamber of Commerce where he oversaw strategic initiatives, managed multi-stakeholder groups, and led special projects. Prior to joining the Florida Chamber, Preston spent a decade in Washington with the U.S. Chamber of Commerce. During that time, he handled policy formation and lobbying on transportation infrastructure issues, acted as chief of staff for the chairman of the board of directors, and supervised programs for the Chamber’s affiliate public policy think tank. He has a B.S. in Economics from Florida State University.